Parna Australia Pty Ltd is also an affiliated company of Parna Raya Group which is engaged in the trading business and is ready to serve the Asia Pacific Region. Parna Australia Pty Ltd's first business is exporting high-quality solar salts produced in Shark Bay, Western Australia, one of the first salt fields in the area. The salt is exported to PT. Garam Persero, a state-owned company located in Surabaya, East Java. The company's business continues to grow and currently, its customers include private and public companies, such as Asian Pulp and Paper, a subsidiary of Sinar Mas Group, one of the giant Indonesian conglomerates, with Parna Australia Pty.Ltd. acting as an agent for 100% Mitsui Corp owned by Shark Bay Salt Pty.Ltd. Among the commodities exported to Indonesia are industrial salt and pine wood. Apart from Indonesia itself, Vietnam and Bangladesh have also become our export destinations for Australian Commodities, including hardwood, livestock and coal. 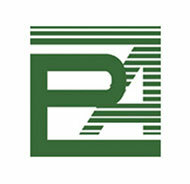 Like Parna Raya and other group affiliates, Parna Australia Pty.Ltd. also directed to accommodate business expansion and further exploration in Indonesia, and also in the Asia Pacific region. His long and proven experience has rewarded Parna Australia Pty.Ltd. with the trust of customers and business partners. This allows the company to offer consulting services for commodity business development and joint ventures, where Parna Australia Pty.Ltd. acting as lialison between Australia and other countries. In 2010, we had the advantage of salt commodities to be exported to Indonesia together with Shark Bay Salt Pty.Ltd. as our principal. Parna Artha Singapore Pte Ltd was founded as a subsidiary of Parna Raya Group to operate and manage the trading business expansion groups and set to serve the Asia Pacific Regions. Currently, Parna Artha Singapore Pte. Ltd. Trades 100,000 tons per methanol and ammonia annually to international buyers, including Thailand, Korea and Japan.